Wow, the gospel is being preached like no one could have expected. Truth: Our fight is against spiritual forces of evil. No. 1: In the Aftermath of the Shootings, Jesus Christ is Being Proclaimed. Immediately following the shootings, Jesus was being proclaimed in print and on television by townsfolk who leaned on God during this tragedy. When Shelly and I first watched the last church service on YouTube, it only had a couple of hundred views. Hours after the shooting it had thousands of views. 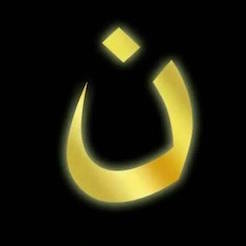 After many people – Christians and non-Christians – watched, it went over the million mark. God’s word went forth, the salvation story was told, the balm of redemption spread far and wide. And now, the First Baptist Church of Sutherland Springs held its first Sunday service since that horrific day when a deranged gunman killed 26 people. “Rather than choose darkness, we choose life,” said Pastor Pomeroy, whose own 14-year-old daughter was killed by shooter Devin Patrick Kelley. Again, the secular media broadcast the gospel to millions of viewers. The church itself has been turned into a memorial, and services attended by hundreds of people were held in nearby tents. It should come as no surprise that liberals were quick to pounce on the mass shooting as further proof more gun control is needed. Since it doesn’t fit its narrative, the liberal media has all but ignored the man who grabbed his rifle and shot the deranged gunman. Former Vice President Joe Biden joined the chorus for more gun control. Ah, the mind of the liberal elite. More gun control laws would not have stopped this shooting. Establishment Republican Texas Senator John Cronyn was also quick to politicize the tragedy, calling for fixing a broken “background check” system and making guns harder to get if you have a criminal background. First, the background check system is not broken. Bloated government agencies are broken. Had the Air Force, a bloated bureaucratic government agency, followed procedure and alerted law enforcement agencies to the shooter’s discharge over a domestic violence past AND being held for psychiatric evaluation, Kelley would have been prevented from buying firearms. Second, there are federal laws preventing criminals (felons) from purchasing or owning a gun. Pence rightly put the blame for the shooter’s ability to buy multiple weapons, including a semi-automatic rifle, on a bloated government. Pence blamed “bureaucratic failures” that allowed the shooter to buy the Ruger AR-556 rifle he used at the church, despite having been admitted to a psychiatric hospital while he was in the Air Force. There were laws on the books that could have prevented this tragedy had they been enforced. Pence’s remarks stand in stark contrast to Rep. Ted Lieu, a Democrat from Southern California, who walked out during a moment of silence held on the floor of the U.S. House of Representatives for the Texas shooting victims. He even Tweeted, “Screw the NRA,” making reference to the group’s strong 2nd Amendment, pro-gun lobbying. What Ted Lieu means is he wants to see a total gun ban. After all, strong “gun safety legislation” is doing nothing to prevent the wholesale killings in Chicago on a weekly basis. Ted Lieu won’t mention that. Right after the shootings, the most vile and disgusting Tweets went up from Hollywood elitists, attacking faith and prayer. Speaker of the House Paul Ryan was attacked by thousands on Twitter after he called for prayers in the wake of the shootings. Others said gun control is the answer, not prayer. “The murdered victims were in a church. If prayers did anything, they’d still be alive,” said one Tweet. Gun laws cannot conquer evil, only God can. Gun laws cannot take evil out of the heart, only God can. Ephesians 6:12 sums up our constant battle on Earth against evil. The enemy is already defeated by Jesus on the cross. The enemy may look like he is winning a battle or two but he won’t win over Jesus Christ our King. 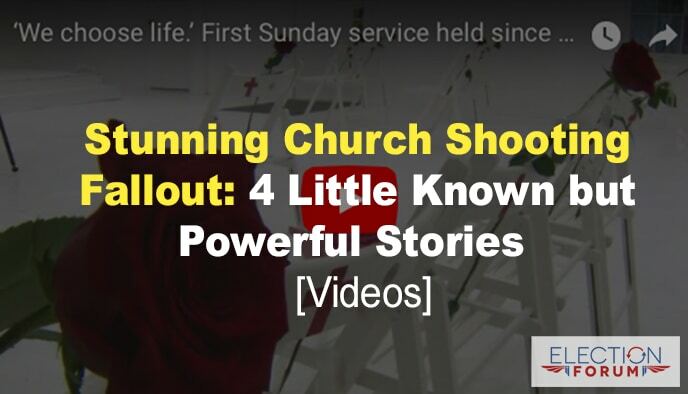 Watch this short news clip on the first service held at First Baptist Church since the shootings.